Cryptosporidium is a microscpoic protozoan (single celled) water-bourne parasite that is spread through four main routes. Highly contagious it can be acquired from contact with other people who are either infected or have contaminated hands etc. It may be also be acquired from animals and their faeces, and from swimming in contaminated water. The most common source of infection however is from untreated drinking water. Human infection occurs when Cryptosporidium oocysts (the hardy cyst stage of the parasite’s lifecycle) are ingested. The oocysts are able survive for long periods of time in the environment and in water. In persons with healthy immune systems symptoms may be slight (or even non-existent) and will usually last about 1 to 2 weeks (with a range of between a few days to four or more weeks) . Occasionally, people may experience a recurrence of symptoms after a brief period of recovery before the illness ends. Symptoms can come and go for up to 30 days. For most people therefore cryptosporidium whilst very unwelcome, will not represent a major threat. For those who are weak, the elderly, young children and especially anyone with a compromised immune system the situation can have more far reaching implications and result in the development of serious, chronic, and sometimes even fatal illness. There is no specific treatment for cryptosporidiosis, and most patients will recover within a month. However the advice of a health professional should be sought in all cases of severe diarrhoea (especially in babies, children and the elderly) and it is very import to drink plenty of fluids, preferably in frequent small sips to avoid dehydration, which may be further treated with oral rehydration therapy. In 2015 in Lancashire routine tests by United Utilities found traces of cryptosporidium at the Franklaw water treatment works outside Preston affecting more than 750,000 households which were required to boil their drinking water. United Utilities were later fined £300,000 as a consequence. If you are on municipal water and generally healthy, probably not very much. 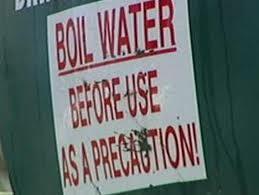 However, if you or your family includes anyone in one of the higher risk groups it may be advisable to take some precautions by having at least a contingency for safe water in the event of an outbreak or ideally to guarantee your own supply of safe healthy water. There are many variations of water filter systems that will eliminate any possibility of infection from your drinking water and it need not cost a lot to achieve peace of mind. Be aware however that not all filters will be effective. An absolute 1 micron filtration level is required, so just using a 5 micron sediment filter for example would be inadequate. A good portable gravity filter makes a great standby in the case of an outbreak or for any other water emergency. These are the types of filters employ ceramic cartridges and are used by aid agencies for situation where the water is known to contain cysts & infectious protozoa & worse. Normally constructed from stainless steel they are collapsible, easily transportable and will last a lifetime. Ideally a plumbed in under sink water filter will provide you with the most convenient way to eradicate such threats to your well-being. These systems include reverse osmosis, ceramic and carbon filters which are available in various combinations and prices. Such filters will of course remove a very much wider range of contaminants than just protozoa, including heavy metals, chlorine, fluoride, PCBs, hormones & arsenic, depending on the filter type employed. They also result in better tasting water. For some situation such as a private supply on a farm or in agricultural areas the ultimate form of treatment would be with an ultra-violet disinfection system (usually just referred to as UV systems) which uses ultra-violet light of a specific wavelength on the incoming water and is lethal to all micro-organisms. These systems are classified according to the flow rate required and should always be used with one or more sediment pre-filters. The ultimate protection for your home would be that provided by specific whole house filtration systems which will ensure safe, parasite free water throughout your household including that used when bathing and showering.